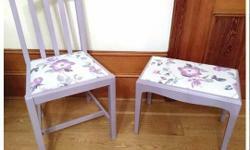 Lovely unique shabby chic purple chair, carefully restored and finished in Emile by Annie Sloan and wax coating. 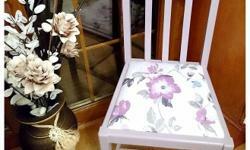 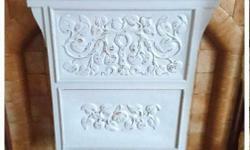 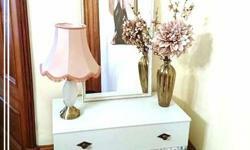 The Fabric has been change to give it a new lease of life using a beautiful cottage Floral design fabric. 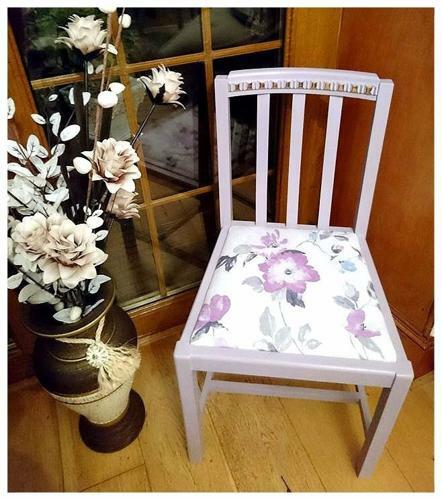 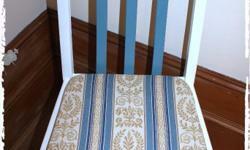 Lovely item to be used as a feature chair in your home.